Excellent! 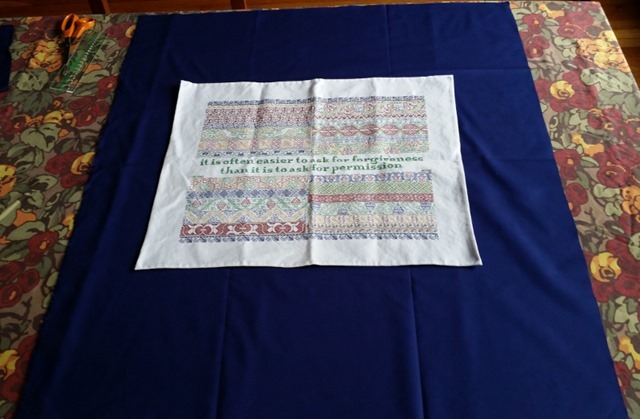 A further suggestion fr om a School of Needlework (British) grad (not me), first baste an interfacing of cotton to the needlework. 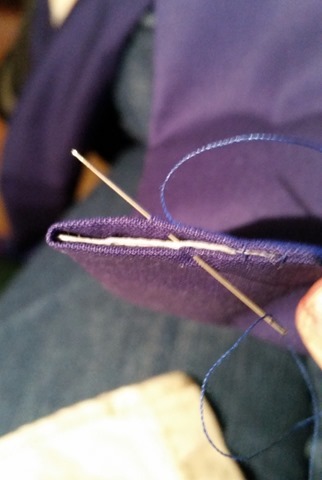 Then apply the backing which shows. This reinforces the piece as well. 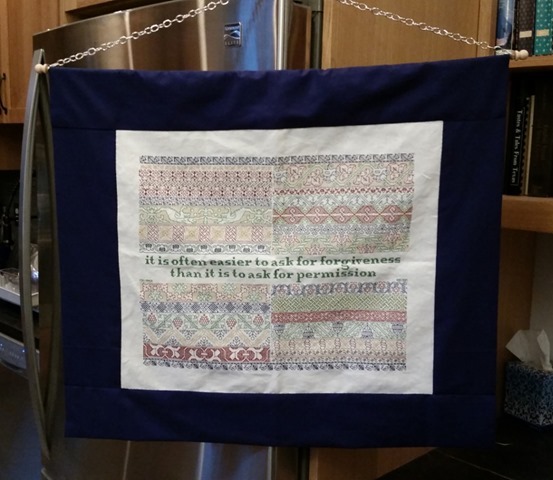 A very good suggestion, especially for larger, or heavier pieces, or ones that might bias – like woolwork on canvas. I am currently planning to hang a double-door size portiere curtain between my living and dining room. I will be displaying a bedspread size bit of Indian tambour work in metal threads on cotton. 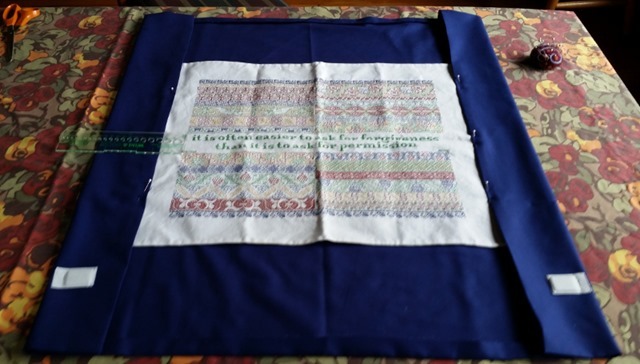 I intend on backing it in a similar fashion to this small work, but first I will be basting a cotton interlining to the curtain itself, to help support the weight of the piece over time. 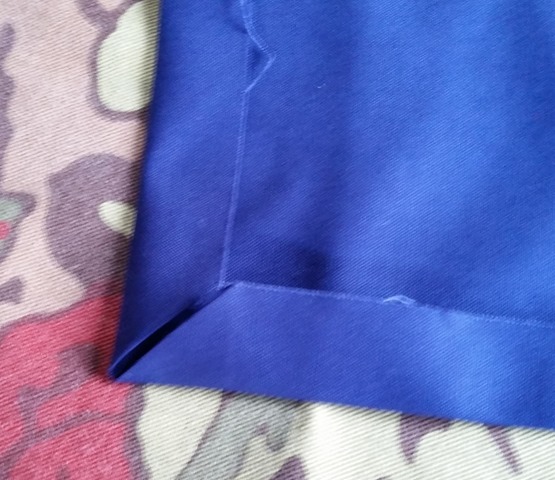 The cotton interfacing will also help the embroidery survive the differential pull of tabs or rings affixing the curtain to the portiere rod (a full sleeve treatment isn’t practical for a curtain of that size that will need to slide open and closed). You are correct. In a perfect world I would have pressed it. 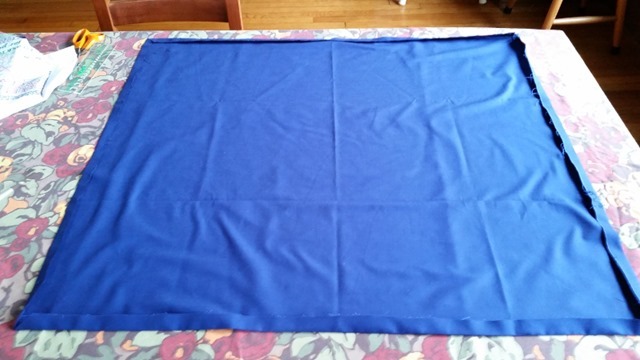 I did steam it in between the measuring steps photographed and hemming in, and again after I took the pix of the finished stage. Then I bundled it up and mailed it to the recipient. 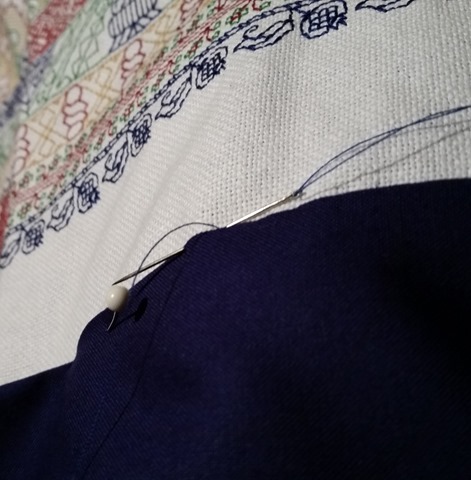 I did not specifically press it because (as it turns out) – when I test-pressed a swatch using the faux-silk thread I bought in India, it did not react well. Even with a pressing cloth. 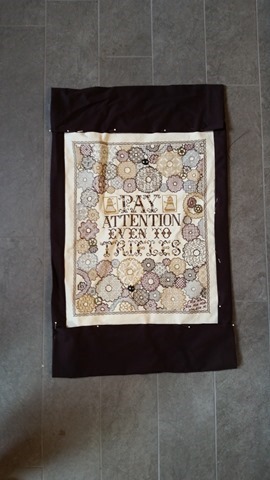 So I avoid using an iron with anything I’ve stitched in it. 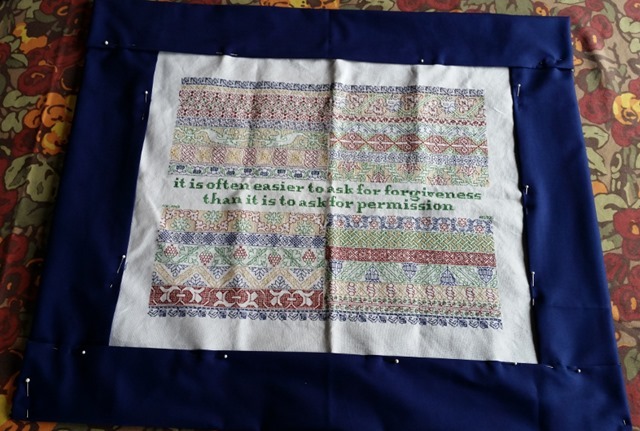 Absolutely – if possible, more pressing prior to the finish, but better not to destroy the stitching if you’ve chosen inferior materials in the first place.